An urgent solution was required to achieve both early fire hazard properties performance and a 60 minute fire rating to large areas of MDF display cases for a high profile display at the Powerhouse Museum. The CAP508 system achieved both the AS1530.3 results with its tested system and the AS1530.4 60 minute requirement as part of a Fire Engineered Solution. 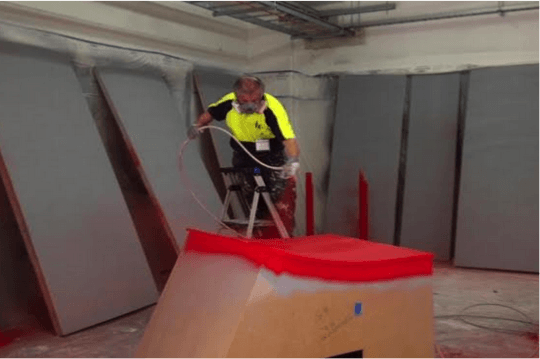 The high level of expertise from CAP recognised applicators and unique testing and viscosity of the product aloud for this complicated sprayed solution to be achieved on-time and exceeding the clients expectations for finish and fire performance.